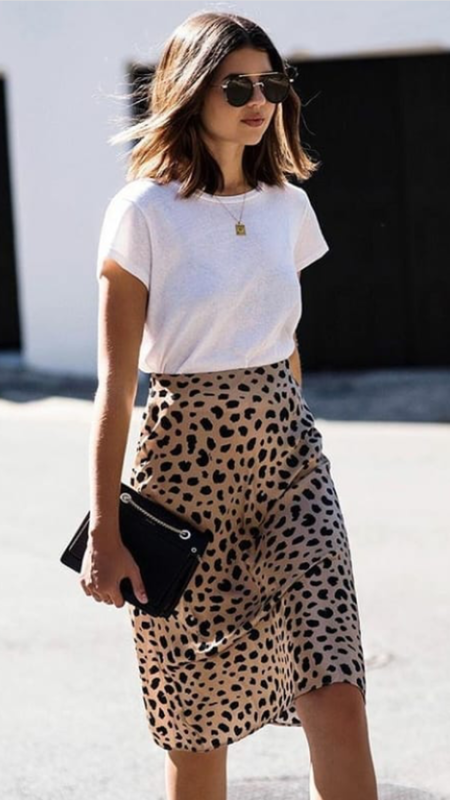 Culottes never really go out of style but pairing them with a slogan white tee and leopard print shoes is one way to ensure your outfit is right on trend. Swap out the denim jacket for a black blazer for an on-duty look you’ll love. We love the simplicity of this outfit. Layer over a black denim jacket and pair with heels or sneakers depending on the occasion to complete the look! Utility suits are one of this season’s biggest trends and it’s easy to see why. This versatile, wear-with-anything piece, will be your go-to staple for any occasion. Pair with sneakers to keep things casual or statement heels to take the trend to the next level.